Fat transfer is a technique used to take fat from one part of the body (e.g. the abdomen or thighs) and transfer it to another area of the body, for example. the face. Fat transfer can give fullness to the face, improving a gaunt and sunken appearance that occurs with loss of soft tissue volume. It can also be useful in correcting facial contour abnormalities and scars following trauma. During the procedure, the donor area for harvesting fat is prepared in a similar fashion to performing liposuction and fat transfer. A long narrow tube is inserted via small incisions to remove the fat. The fat cells are then injected in the treatment area using a fine tube. Fat transfer can generally be performed as a daycase under local anaesthesia with total intravenous sedation or general anaesthesia if preferred. You should be realistic in your expectations before deciding on fat transfer. Know that there is a limit to how much fat can be injected safely. Due to the unpredictability of the results, the procedure may need to be repeated. Every operation carries with it the risk of bleeding, infection and delayed healing, but these are very rare in liposuction and fat transfer. There may be skin irregularities. The scars heal very well in most patients, but please be aware that if you have dark skin, freckly skin or red hair, there is a greater risk of persistent lumpiness and hypersensitivity in the scars. This is known as hypertrophic or keloid scarring. You may find bruising and swelling, which, due to gravity, will descend below the areas operated on. Some of the fat does not survive after transfer so a certain amount of overcorrection is required which also contributes to some of the swelling following surgery. There may be numbness, which may persist for several weeks, and on occasion, may be permanent. The recovery period is between 10 days to 4 weeks, depending on the areas treated. You should avoid driving until you are confident you can perform all necessary manoeuvres safely. Oral painkillers, prescribed following your surgery, will control any discomfort you have. You will usually be seen in the clinic one week and then one month post treatment. 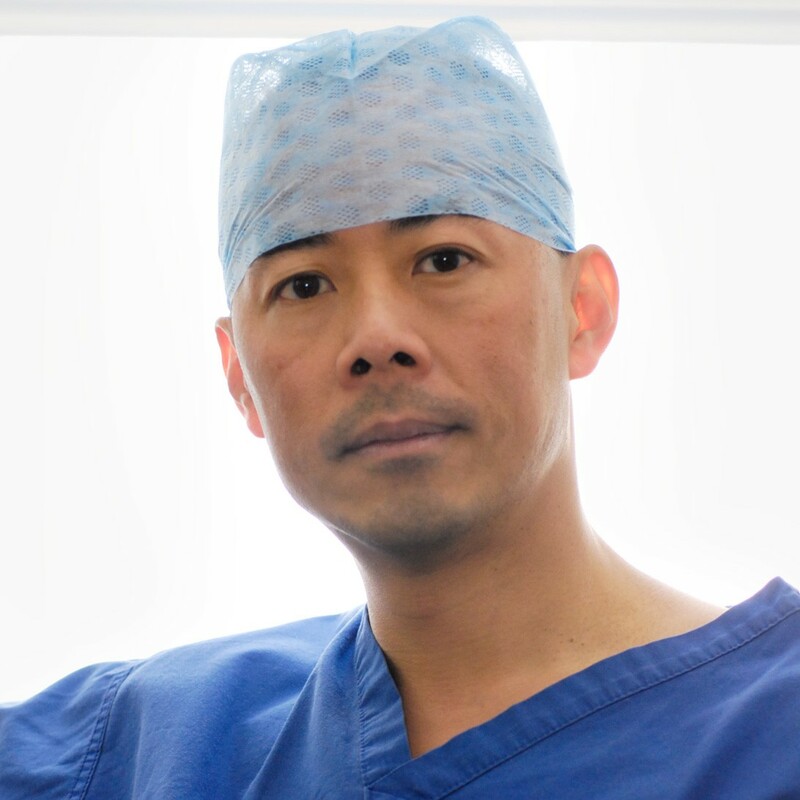 In the longer term, you are welcome to see Mr Ng for a check up at any time and all follow up appointments are free of charge whether they be at 1 month or even 10 years post operatively.